A little rehearsal before the event commences. 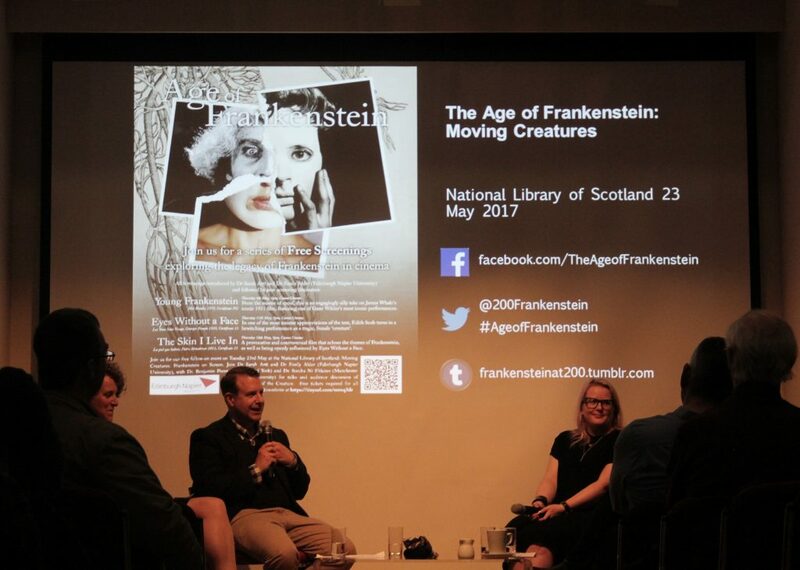 Sorcha Ní Fhlainn (Lecturer in Film Studies, Manchester Metropolitan University) during her lecture on the history of Frankenstein on the screen. Benjamin Poore (Lecturer in Theatre, University of York) explores the duality of Mary Shelley’s novel before diving into its current presence on the stage. 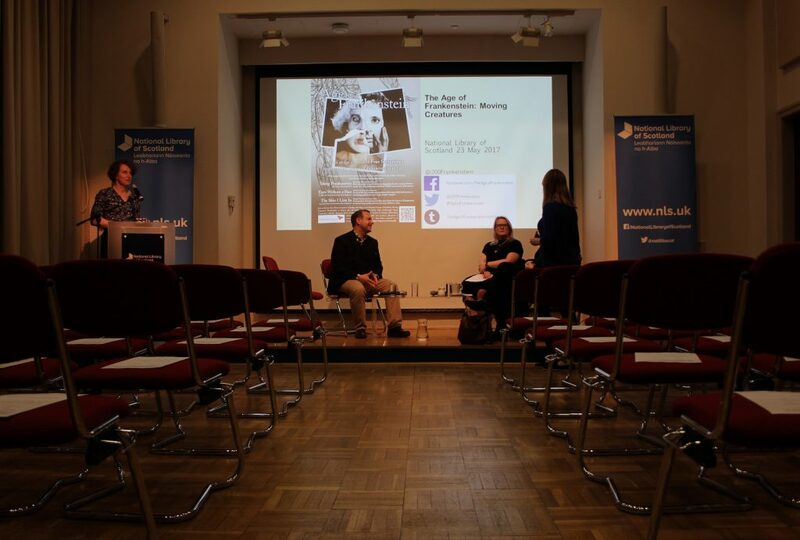 Dr Sarah Artt (Lecturer in English and Film, Edinburgh Napier University) guides the audience through the three films we screened during our Moving Creatures season. After the lectures, the audience had a chance to question our guests on some of the topics they discussed.